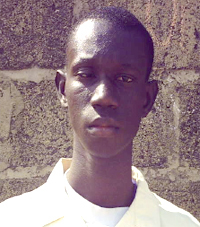 "Is because of your support I learn up to senior school. I want to learn up to the university." I would like to thank you very well sponsoring me throughout my education. I am proud of the sponsorship because it is very important and useful to me. It helped me a lot. Thanked you so much. Is because of your support I learn up to senior school. I want to learn up to the university. I am attending Sheikh Mas Kah S.S.S IN GRADE 11.